Amazon announced a new streaming music service this morning called Amazon Music Unlimited. It’s very much a competitor to Google Play Music and Apple Music, though there are certain price tiers depending on your Amazon status or the products you plan to listen to music through. So wait, what’s the difference between Amazon Music and Music Unlimited? Ahhh yes, that’s right, Amazon already technically had a music service that you may have used as a Prime member. How could this be new? According to Amazon, the Music service you used to listen to as a Prime member only included about two million songs. Amazon Music Unlimited features “tens of millions” of songs and should carry more of what you actually want to listen to, unlike the regular Amazon Music. Music Unlimited is priced like everyone else, but does include a special Echo plan. For $9.99, anyone (meaning non-Prime members) can sign-up and listen to those “tens of millions” of songs all day, every day. Prime members can do so for cheaper, at just $7.99 per month. Should you happen to own an Amazon Echo, Echo Dot, or Amazon Tap, you can get access to a single device for just $3.99 per month. Need a family plan? Amazon says a family plan will be available “soon” and will cost $14.99 per month for up to six family members. Like other music services, Music Unlimited will try to feature the newest releases, hand-curated playlists, and personalized stations, all through a redesigned Amazon Music app. The standout feature, at least in my opinion, is the Echo functionality that lets you fire up tunes at any time with your voice. You can tell Alexa to play your favorite artist’s new song, “play music for dinner,” a “song of the day,” or something based off of some lyrics you can recite without knowing the artist. 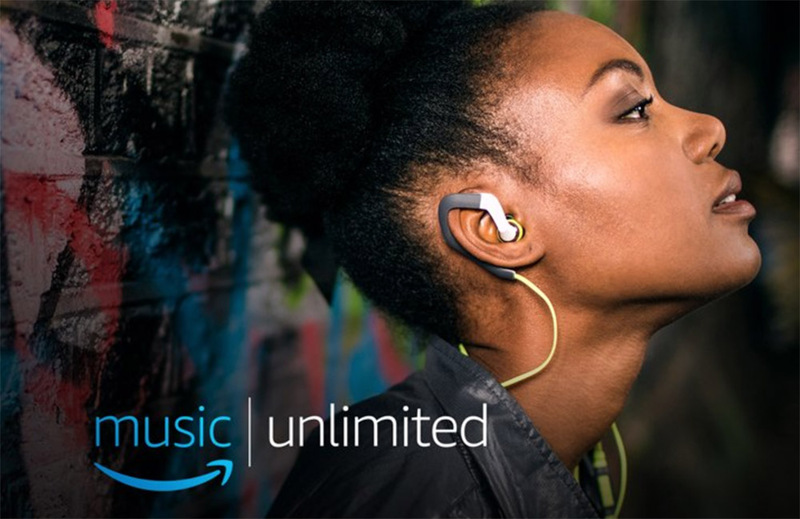 Amazon Music Unlimited is available now. Sign-up below.